Gifting is an age old and effective way to tell people how you care about them. We all have some gifts that we have cherished to keep all our lives, the reason being, they were unique and thoughtful. We remember such gifts and also the ones giving them. So every time you send a present to someone, you actually create an opportunity for yourself to create an unforgettable moment in that person’s life. Hence, you must not let such an opportunity go. 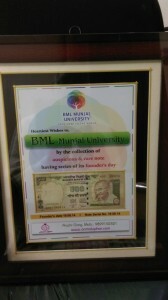 Anmol Uphar is one such place that helps you create such wonderful moments with ease. They know you are busy and do not have much time and yet want to give a beautiful and thoughtful gift to your loved ones. Coming to your rescue are their special currency notes, which have your special date of the occasion as its serial number. 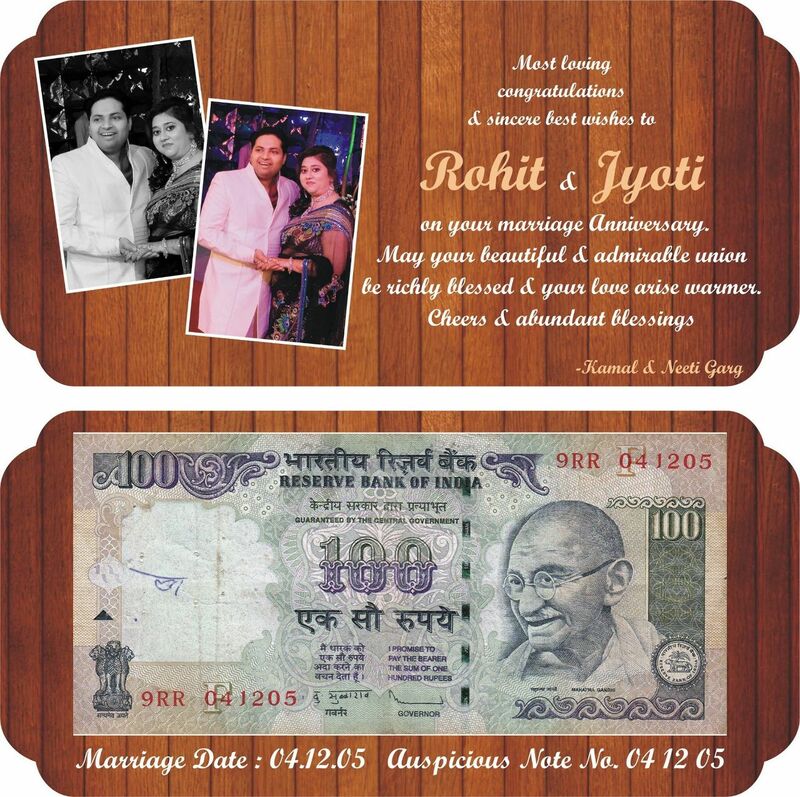 So be it the graduation day of your son, your marriage anniversary, daughter’s b’day or your friend’s house warming, make their date even more memorable for them through our special currency notes having them as their serial numbers. Eg. You got married on Jan 1, 1990 so on your anniversary you can gift your wife a currency note with serial number as 010190. What makes it even more special and rewarding is the fact that you can customize your present. Which means, you can get it framed with your favorite picture of two of you, may be a quote or something else. They do all this for you, just tell us your date and the images you might want to have in the frame and they send you a ready product – just the way you wanted it. She is 58 year, and started this 8 months back. Prior to this, she was homemaker and has been helping her husband in his pharma journal business. Hailing from Bulandshahr, a small town B of Uttar Pradesh, she makes sure to gain perfection in whatever she does. The enthusiasm with which she goes to different flea markets in Delhi to create awareness about this unique concept is commendable. academically, she is post graduate.